Order Online 24/7. Safe. Secure. Convenient. *Any orders LESS than 150 gals will be charged a $35 small delivery fee. Listed prices reflect cash, check, electronic funds transfer, or money order discount. We also accept debit & credit cards. Prices are for the number of gallons your tank can accommodate in one delivery. In the event of inclement weather, please shovel out a path to your fill pipe to provide clear access. Our Prebuy Plan is currently available for the 2018-2019 heating oil season. Prebuy is for those who wish to purchase their heating oil in the off season, when prices are traditionally lowest. Customers pay for their fuel in the summer, and we deliver it on an automatic delivery basis through the winter. 250 gallon minimum. Our EZ Pay Budget Plan is currently available for the 2018-2019 heating oil season. AutoPay by credit card or EFT to save time & postage. Red Thunder Fuel Treatment cleans, eliminates water, prevents gelling, reduces oxidation, and dissolves sludge. In addition to Online Ordering, Oil Discounters now allows you to pay your bill through our web site. Click the button below to be redirected to our secure payment page where you will be able to pay your outstanding invoice. For all your home comfort needs, we recommend Harned Durham Energy. 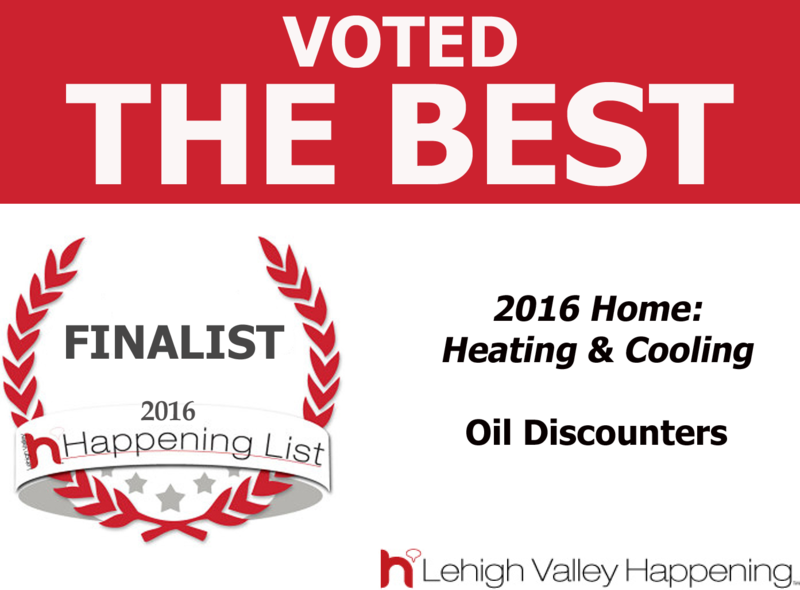 They are located in Emmaus and have been serving the Greater Lehigh Valley for over 80 years. To schedule service, please call 610-965-3424 or click below. © 2019 Oil Discounters. All Rights Reserved. Designed by EnergyWeb Solutions Inc.